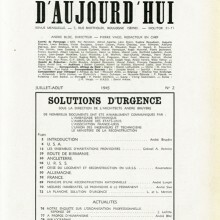 “Solutions d’urgence” (Emergency Solutions) was the title given to the third issue of l’Architecture d’Aujourd’hui, published in 1945; the second issue published following the end of World War II. 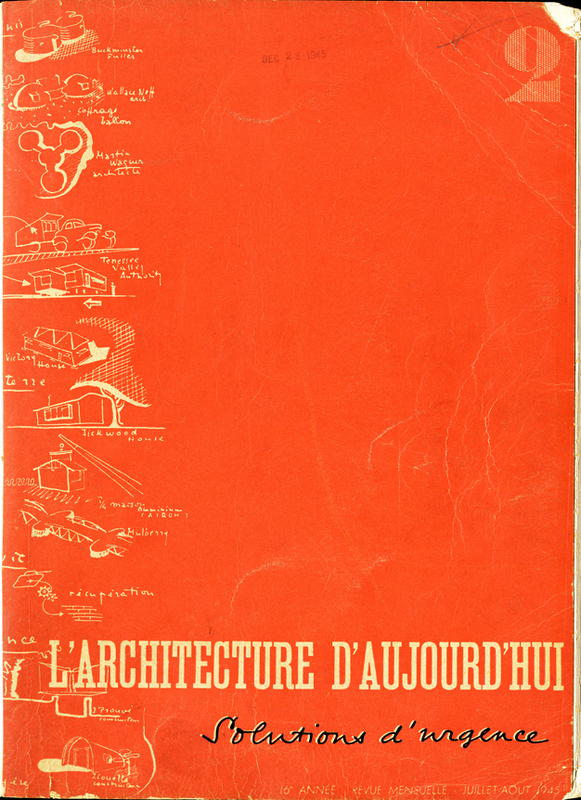 It focused on the shortages of the time, fundamentally housing and infrastructures. 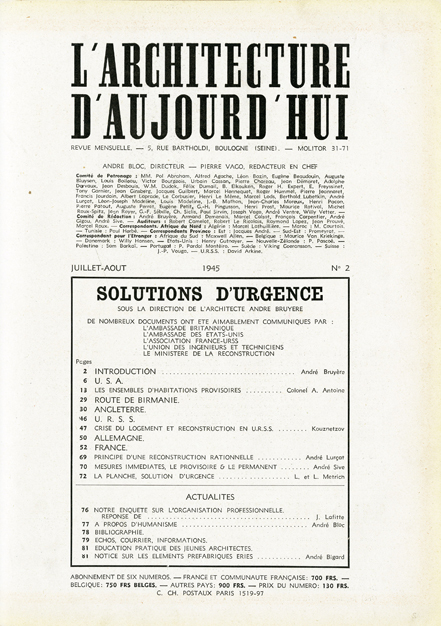 Its pages showcased numerous projects from Japan to the United States which offered swift, economical and efficient responses regarding reconstruction. 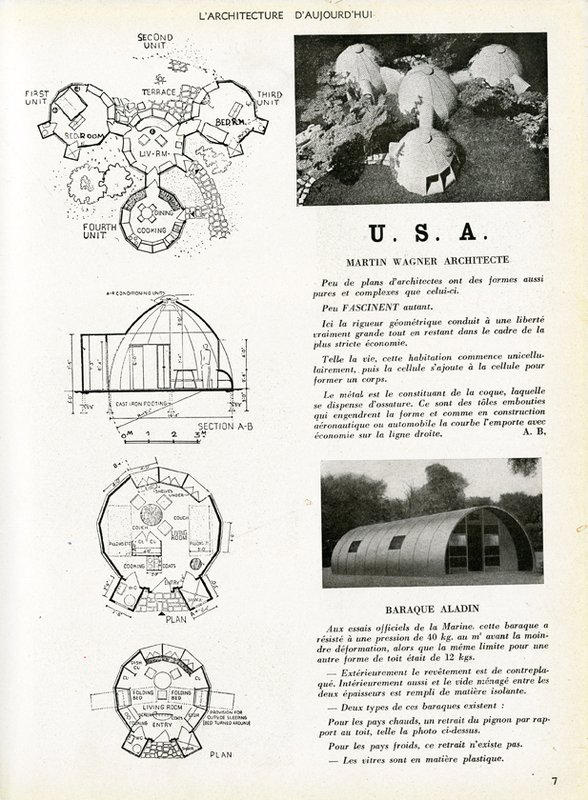 The architects invited to propose solutions included Buckminster Fuller, Jean Prouvé and Pierre Jeanneret. 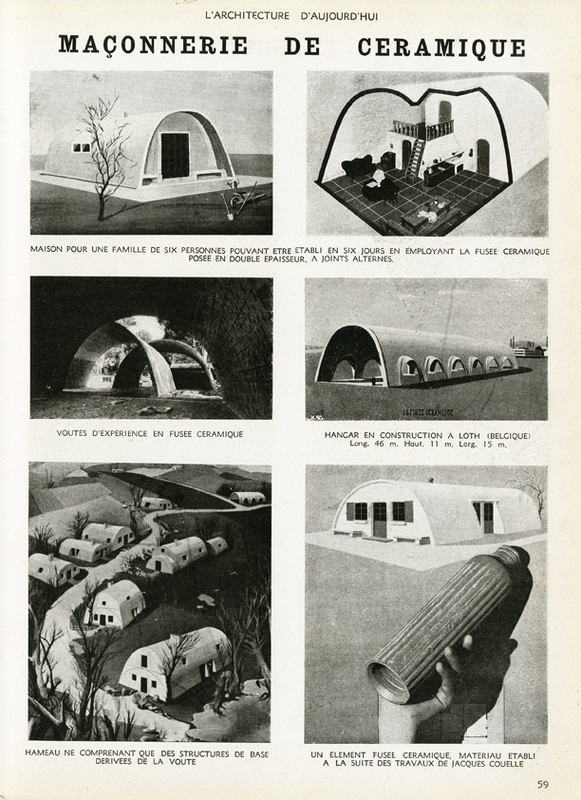 The emergency housing projects that appeared in the magazine were lightweight, transportable, compactable, demountable and all shared one value: resourcefulness. 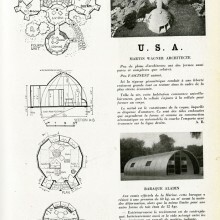 Buckminster Fuller’s Dymaxion Deployment Unit made use of metal tank construction systems to produce a circular house. 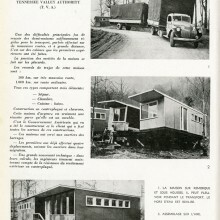 He also presented his Motor Unit, a small trailer that incorporated the minimum domestic services: kitchen and bathroom. 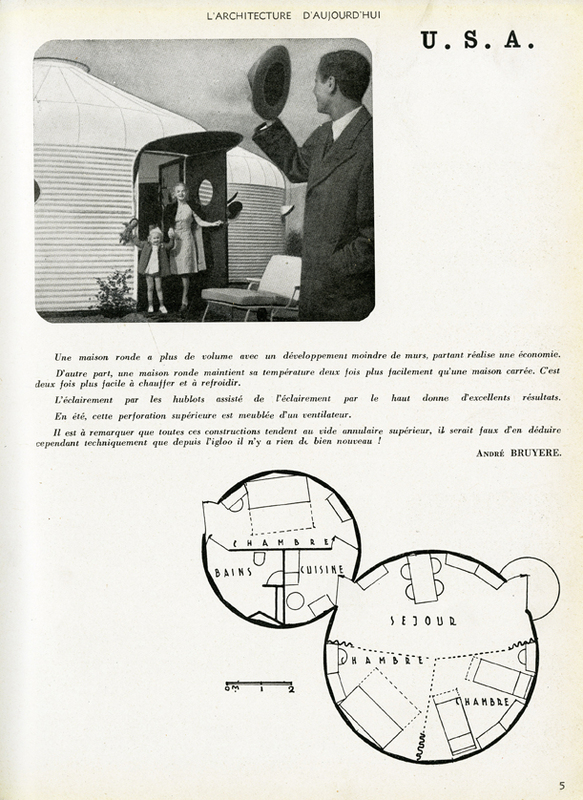 With this prototype, Fuller combined his own experience in designing the compact Dymaxion Bathrooms, with the recently launched experiment of the roulotte, a pre-war invention that merged the versatility of tents with the comfort of wagon lits. 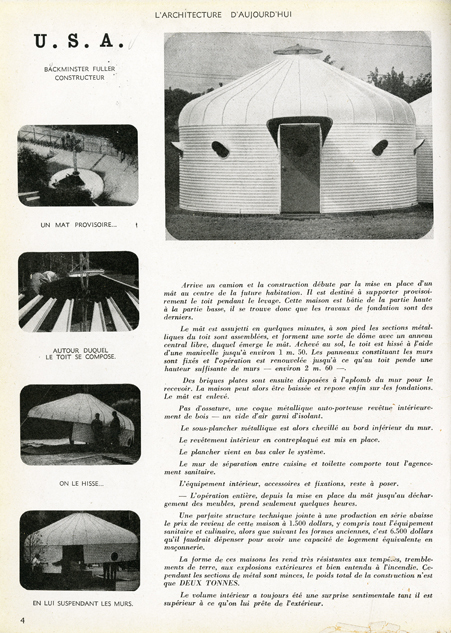 This parallelism between holiday architecture and post-war architecture is a constant among the dwellings featured in Architecture d’Aujourd’hui. 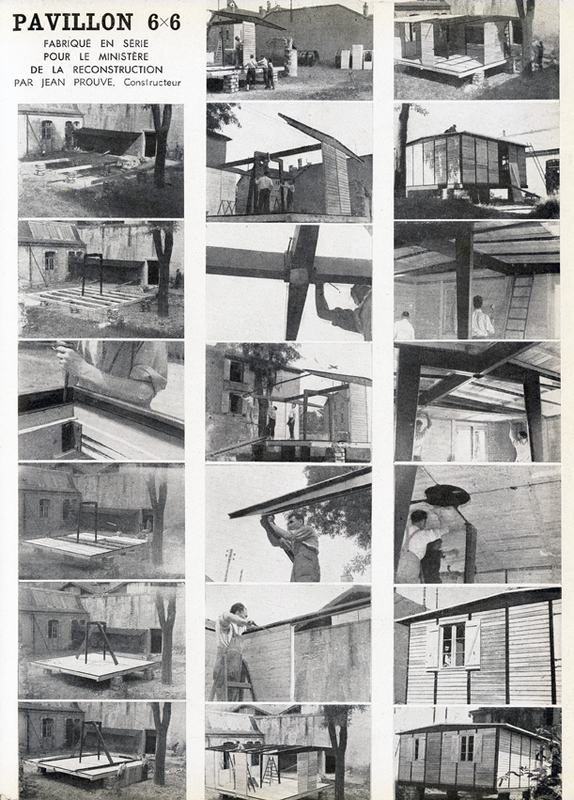 For instance, the support framework for Pierre Jeanneret’s foldable and transportable house is reminiscent of experiments along the lines of Charlotte Perriand’s mountain refuge with its aluminium panels. 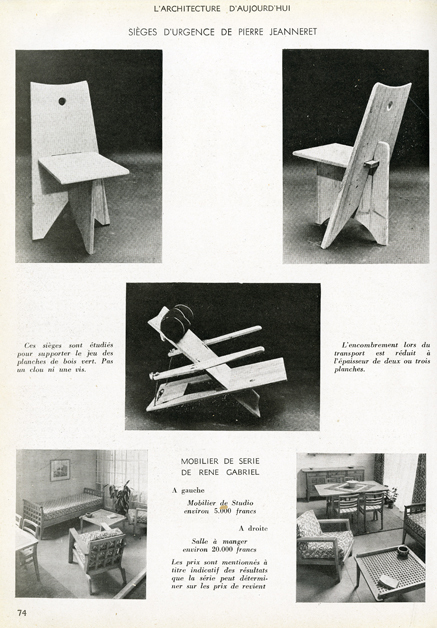 Meanwhile, Jean Prouvé’s panelling system for the 6×6 pavilion brings to mind the construction systems of many weekend houses which graced the pages of avant-garde magazines during the pre-war years. 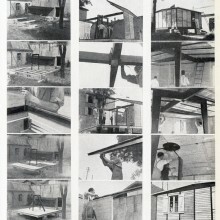 The relationship between post-war dwellings and weekend houses was based on coinciding search parameters: low cost and fast assembly. 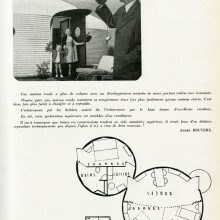 The boom in vacation travel, a consequence of improvements in workers’ rights during the 1930s, also required urgent solutions. 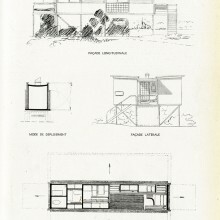 Architects planned the domestic aspect of relaxation and urban escape as something minimal and spontaneous. 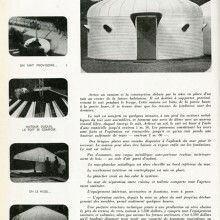 Despite the fact that the majority of the working class was unable to afford the prototypes of ephemeral “huts” developed during those years of opulence of social tourism, their existence allowed holiday areas to be imagined as infrastructures divided into fixed constructions and demountable constructions that, according to the fluctuations of mass tourism, could be made larger, smaller, or disappear. One of these spaces, a pioneer at European level, was Barcelona’s Ciutat de Repòs (Holiday City), located on the beaches of the Llobregat delta and designed by the GATCPAC. 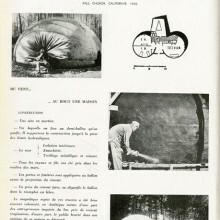 The project was started in 1931, inspired by Russian, German and American experiments and based on the premise of conservation of the natural environment, but it was never built. 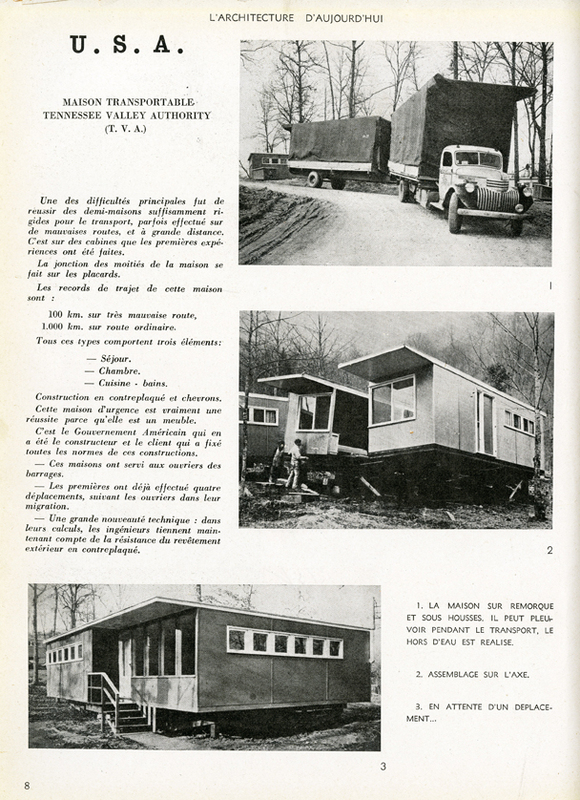 The “demountable house” was an emergency solution that made it possible to combine tourist infrastructure with land protection. Of the 1,200 hectares covered by the Ciutat de Repòs, fixed buildings occupied only 0.7%. 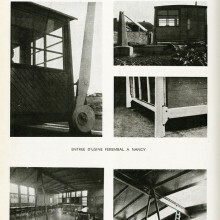 Uncertainty regarding the infrastructure’s success or failure was translated in landscape terms into a greater or lesser occupation of the strip of pine trees parallel to the beach with demountable elements. 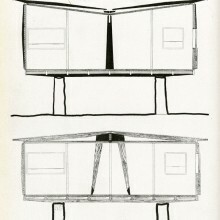 As spontaneous as a flower, the “hut” would pop up on demand. 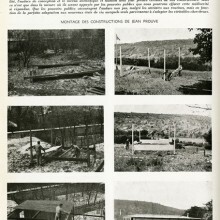 Curiously enough, the GATCPAC linked this spontaneity to infrastructure and, referencing the “demountable hut”, its creators noted: “A structure that expresses this desire for an intimate relationship between humans and natural elements, should be as spontaneous as roads or bridges.” Turning the sense of this argument around, one can infer that, by infrastructure, the GATCPAC understood anything that, due to its spontaneity, could be intimately linked to nature. 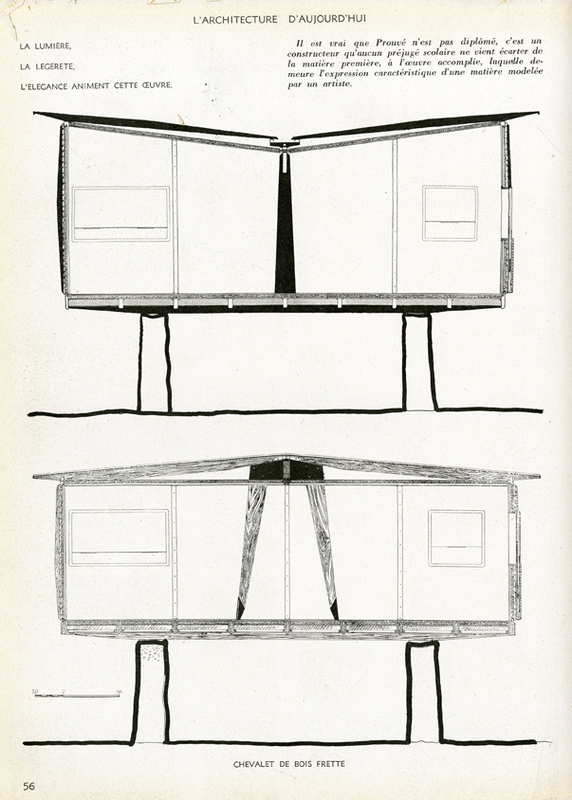 Among the GATCPAC projects, the “standard” demountable airport designed by Cristòfol Alzamora is the proposal that best evidences this idea of spontaneity applied to infrastructures. 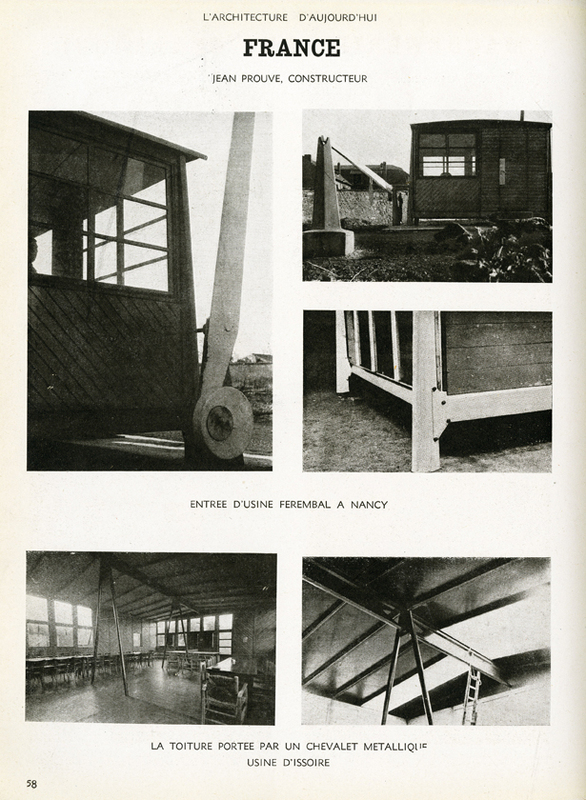 It is well known that the research carried out by the architects for the “demountable house” extended across other programmes such as children’s libraries, nursery schools and museums. 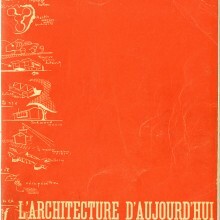 The proposal for airport offices is a further product of this research; however, despite dating back to 1934, it is still valid, particularly bearing in mind the current situation of certain Spanish airports which, due to the delusions of grandeur of pre-recession governments, now remain empty and infra-utilised, a situation that would have been unthinkable during the lean years following the crash of 1929. 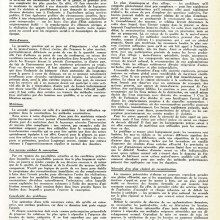 Aware of the circumstances of that time, the GATCPAC’s proposed airport responded by growing or shrinking in response to usage demands. 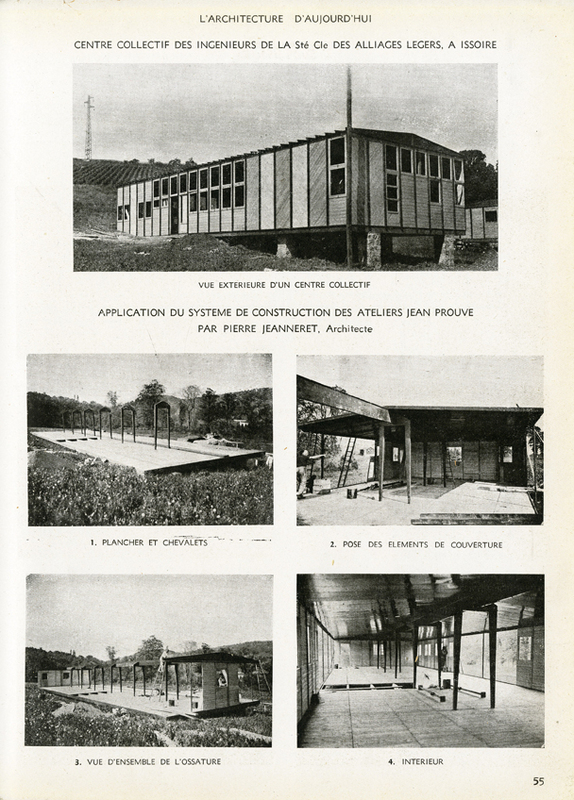 We should take into account that the lifespan of this type of buildings was an unknown in the 1930s, subject as they were to technical inventions and scientific discoveries that, for example, condemned airports for zeppelins or sanatoriums for tuberculosis patients to obsolescence. 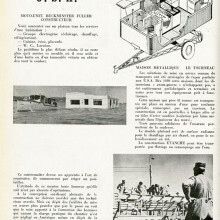 In this sense, the pavilion of the Catalan airports by the GATCPAC was an economic solution well suited to those uncertain times. If the invention of aircraft turned out to be a failure, the pavilion would merely be dismantled and thus disappear from the landscape. 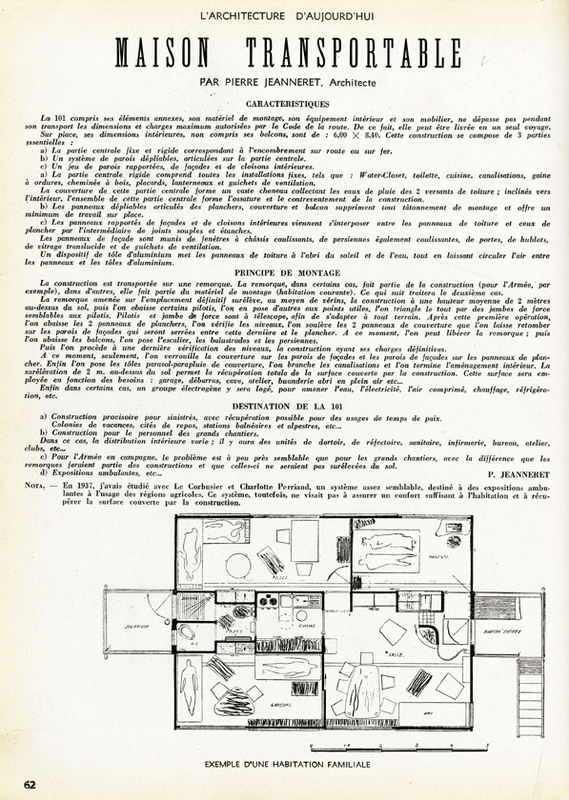 The GATCPAC reveals an architectural attitude that is now back in vogue. Today we are fully aware of the billions of euros it has cost to build Spain’s least profitable airports (Castellón, Ciudad Real, Teruel, Murcia and Lérida) and of how, on an architectural level, far from being demountable, these infrastructures have been conceived as expensive, fixed, maximizing and specialised constructions. This awareness of the squandering of the age of plenty is leading to a change in attitude that is taking us as architects back to the emergency solutions of 1945 or of the post-crash Spain of 1929. 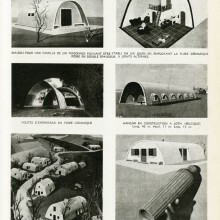 Set against the backdrop of economic shortages and environmental problems, lately there has been an emergence of experiments that, as happened in those other difficult periods, put the idea of “resourcefulness” at the forefront of the architectural arena: taking advantage of experiences and making use of structures. Speculative projects in Berlin regarding the future of Tempelhof airport, such as the one by Raumlabor studio, which proposes the integration by stages of this obsolete infrastructure into the city, or in New York, with a proposal to use the area occupied by the old Brooklyn airport as a giant urban campground, are well-known examples of responses linked to airports that clearly point to the paradigm in which we find ourselves: the need to make use of old infrastructural remains. 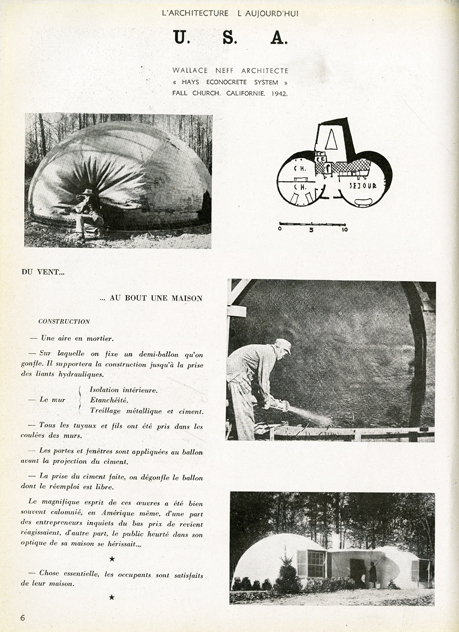 Also, learning from the small GATCPAC airport or the “demountable hut” forces us to go beyond this simple conclusion. 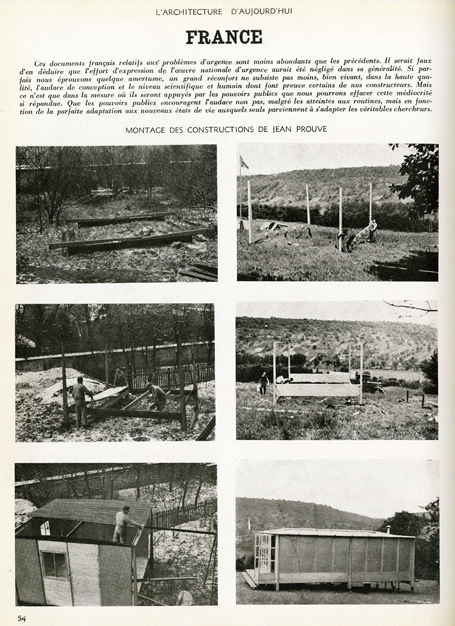 And the fact is that both projects implicitly included a key factor for conceiving infrastructures: versatility, linked to landscape preservation. Versatility is essential in reusing infra-utilised airports. 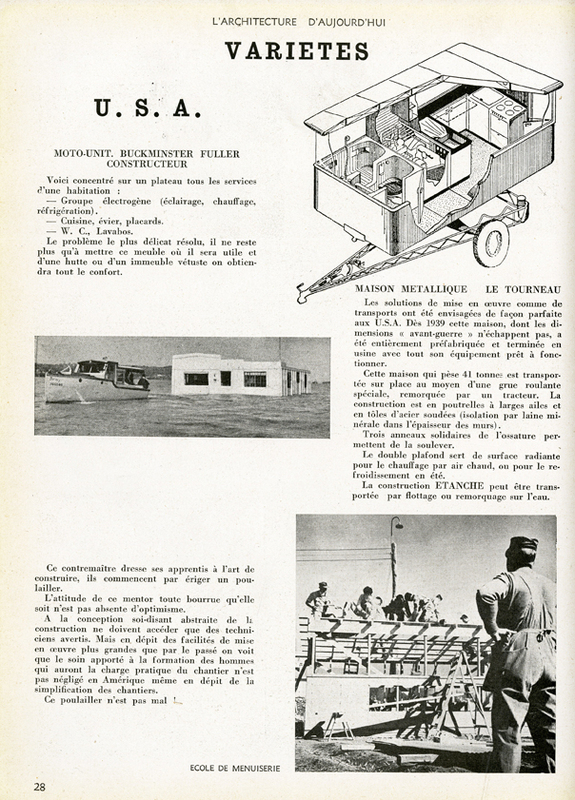 In order to optimise them, we propose that the GATCPAC’s “demountable” concept be introduced into such infrastructures to equip them with “internal versatility”. 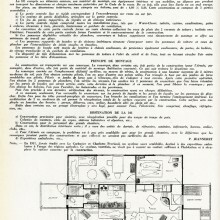 Taking advantage of their open-plan spaces, indoor built and ephemeral complexes can be generated like Archigram’s Instant City, which offers room for facilities and/or housing in accordance with the region’s social needs. Thus, the architect’s task, rather than defining what uses these regions need (a decision that must be made drawing from diverse disciplines), would be directed towards designing the “time” factor. 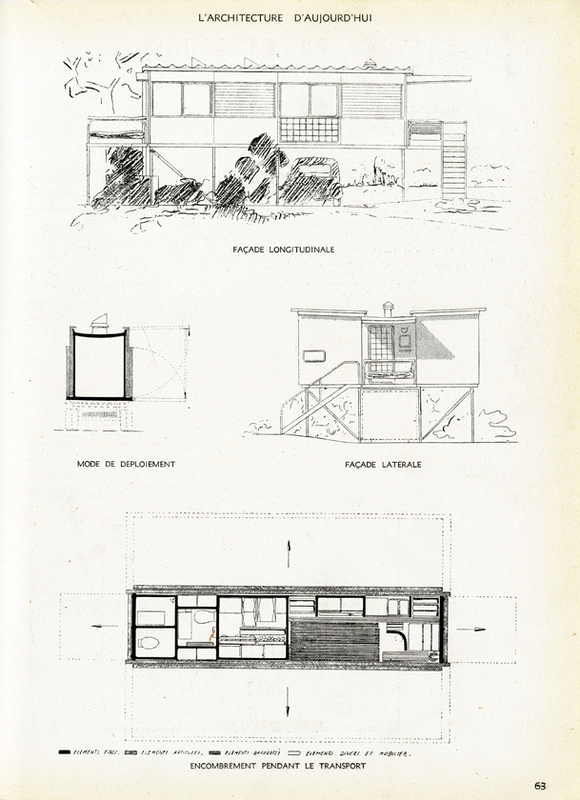 Just as the “demountable hut” appeared and disappeared in the pine groves of the Llobregat delta according to the presence of holidaymakers, our projects could make indoor facilities appear when necessary and move them elsewhere when needs arise. “Internal versatility” is, at the same time, a landscape preservation measure. 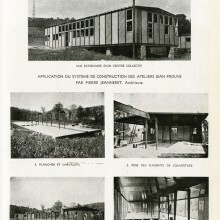 In contrast with the situation in the 1930s, the relationship between infrastructures and environment no longer involves the “spontaneous” appearance and disappearance of buildings. In the current context, the concept of preservation becomes closely linked to minimising occupation of the territory, via the reuse and optimisation of built infrastructures through internal transformations catering for the demands of the day. Transferring new regional needs to the interior of existing buildings may slow down the current pace of landscape deterioration, an unstoppable phenomenon that also demands that we find emergency solutions. 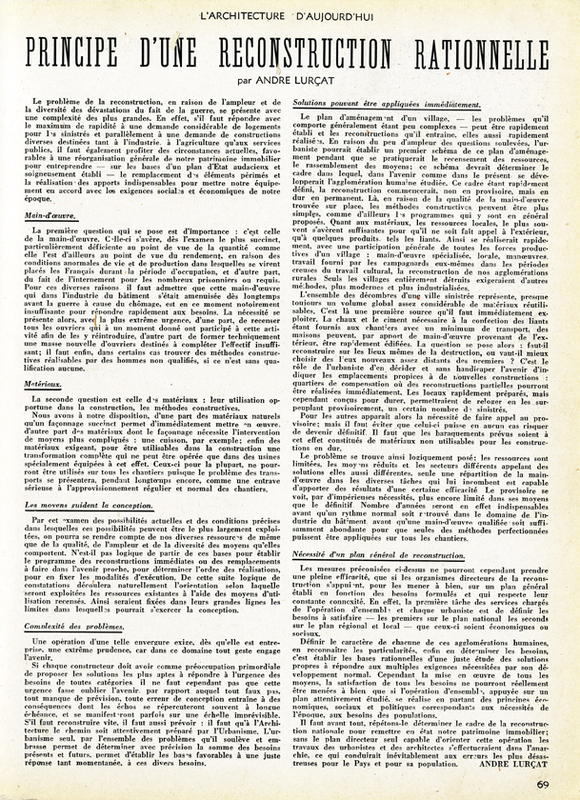 In parallel to the Ciutat de Repòs project it was requested that the area be declared a Maritime Park. 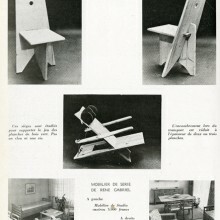 Revista AC, no.7, 1932, p47. La Vanguardia 22 May 2011. Data source: the airports themselves.